James Witts invites you into the world of marginal gains to discover the innovative training techniques, nutrition strategies and cutting-edge gear that are giving todayâ€™s elite cyclists the competitive advantage. Find out why Formula One telemetry is key to more bike speed; how power meters dictate training sessions and race strategy; how mannequins, computational fluid dynamics and wind-tunnels are elevating aerodynamics to the next level; why fats and training on water alone are popular in the peloton; and why the future of cycling will involve transcranial brain stimulation and wearable technology. With contributions from the worldâ€™s greatest riders, including Marcel Kittel, Peter Sagan and Bauke Mollema, and the teams that work alongside them: Etixx-Quick Step, Team Sky, Tinkoff, Movistar, BMC Racing, Trek-Segafredo and many more. Also meet the teamsâ€™ sports scientists, coaches, nutritionists and chefs, who reveal the pioneering science that separates Contador and Cancellara from the recreational rider. 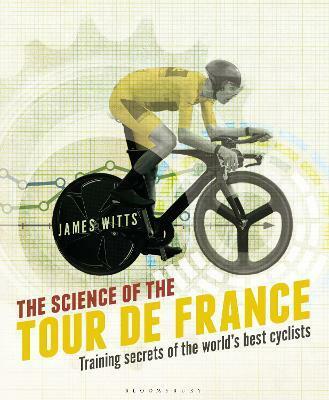 To win the Tour de France takes stamina, speed, strength . . . and science.